Hey folks! 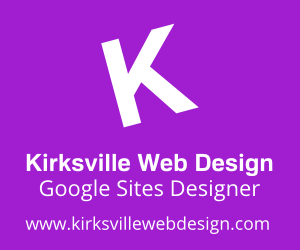 +Kyle Horst here with +Kirksville Web Design and I am super excited for 2013 when it comes to Google Sites. 2012 was a successful year for us and I foresee the demand for Google Sites growing. People are migrating to Google Apps in droves and Google Sites enjoys a slice of that success. Easy Edit Site Layout - "Shift + L" That's the hotkey I've been learning quickly for Google Sites because it's quick and easy to edit Site Layout now. No more jostling between different tabs to verify the look and feel. New & Improved Commenting - This feature flies under the radar most of the time, but it's really nice for Wiki type projects. Those comments at the bottom of the page are now easier to follow and track thanks to some Google + type functionality. Set Column Width - The wish here is two-fold: Allow for the editing of the column width for page layouts and allow for setting the column width for the List type page. We don't always want them to be equal in width. Tags - What a wonderful idea. We see tags used everywhere in Wordpress and Blogger, but wouldn't it be nice to tag your pages and your files in Google Sites? Yes, please. Improve File Cabinet - We love the file cabinet, but at a certain point it becomes hard to manage and organize files. You can't upload to a specific folder and docs are automatically alphabetized. We could use some better Google Drive capabilities too. Improve the Announcements Page - The announcements page template is handy, don't get me wrong, but it would be useful to have more Blogger type features, like an archive widget, comments, and easy add social media gadgets (+1, tweet, etc.). Also, change author, change date/time, auto-scheduling posts, to name a few options. Add Custom CSS - When you design Google Sites, you will inevitably hit some roadblocks for fonts/colors/styling that you just can't change via conventional HTML editing means. A universal Add Custom CSS feature would be wonderful. Let us override certain styling if and when we need to. Fixed Background Image - This feature could make for some interesting designs, definitely more based on high quality photos. It would pair nicely with an option to expand background to 100 percent of the browser window. That way you have a nice full page background effect. It a popular design choice on many modern websites. Center Justify the Horizontal Navigation Bar - If you are designing a website with a more center justified look, then the nav bar is the only thing holding you back. In RTL reading languages (Hebrew, Arabic) the nav bar is justified right, so it's very possible to easily add an option to center it. Maybe in 2013. 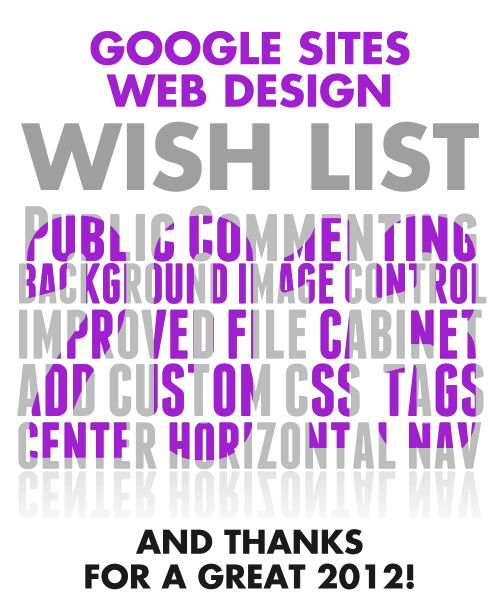 Here's hoping for a great 2013 in the Google Sites world. Thanks! I'm surprised you didn't include anything about the mandatory footer. In my experience, that is the main sticking point for people who are considering using Sites for creating fairly simple, customer facing web sites. It just doesn't look professional. Good point, but I think it is unrealistic to ask Google to do this since Google Sites is a free product. If it was a paid product, yes I would consider this a priority. Overall, the links at the bottom are one of the least intrusive means of advertising I've seen. And some of my clients are proud to show off that it is a Google Site, but I understand where you are coming from too. 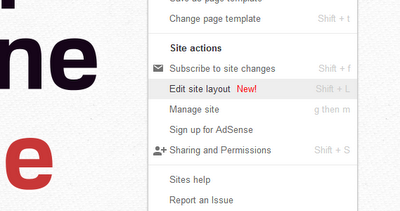 Google sites is a loss leaders that allows profit to be made in other areas. If it seeks to compete with Microsoft and push them out of the market it has to achieve a very high standard. Whilst Google give us software for free, we give Google are time and they need our time more than we need their software...especially if it's shoddy. Thanks for ur informations, am working in web developing companies, so it will be helpful info for my works. And that each time I click on a header it takes me away from my domain to the sites.google.com domain. Agreed with your wishlist. Being able to actually choose my font inline (from the Google Web fonts) would be great. Things that stay in the same position on the design page as the view page rather than moving up or down 2 millimeters. Things that stay in the same place relative to other objects regardless of the device it is viewed on. links in the header and image mapping. A mobile configuration option that does not need to be switched off. Google sites does not work - any improvements in 2013 should be based around it not taking 6 hours to move something like move a picture 1 millimeter to the left and more importantly stay there. Isn't it about time websites were just like photoshop - drag and drop. I really don't see the problem. This is visual design and it's only grid references for the HTML and percentage translations for mobile we are talking about. Hi..kyle how are you my friend? really I like it thank you very much..from INDONESIA with smile. That way you have a nice full page background effect. After reading the wants for 2013, I now realize.......the hours I have wasted trying to find font size on the navigation isn't there?? I'm holding off with publishing it to my group because I hate the font size and finding this article, looks like I really don't have control? Can you show how to round corners? home run on these wishes! Great list, overwhelming by seeing so many good sites together. I will definitely bookmark some. Thanks for share this awesome info. So nice article, keep it up, its so informative post. thanks to share with us.